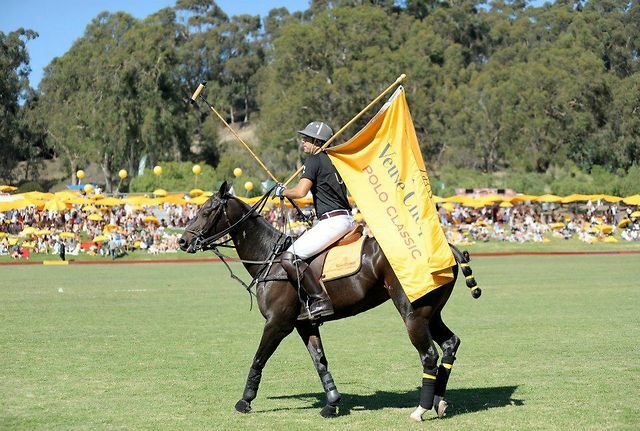 This Saturday, October 6th, champagne maker Veuve Clicquot will be hosting their 3rd annual Polo Classic at Will Rogers State Historic Park in Pacific Palisades. Dress up in your most fashionable daytime attire and spend the day sipping champagne and watching world-renowned polo player Nacho Figueras and his team, Black Watch, take on Team Nespresso. Some of LA’s best food trucks will be there as well, and for $25 this sounds like a unique event that is worth checking out. Be sure to check the website for parking information. Food trucks galore this Saturday at the Santa Anita Park! KROQ is hosting a massive food truck festival on September 29th from 11AM – 5PM. Pay $5 for general admission or go VIP status and pay $20 for exclusive backstage access, trackside seating with table, and a private cash bar (No Lines!!). Try famous trucks like The Grilled Cheese Truck, Paradise Cookie, and Lobsta Truck. Plus, watch and wager as the horses race around you while listening to live music by Lose Control. Be sure to check out their site for a full list of trucks that are participating! Looking for something fun and free to do on Friday? Well head out to the Santa Monica Pier for a movie, music, food, and drinks as the Pier hosts its Friday Autumn event series, Front Porch Cinema. This Friday is the Wizard of Oz, followed by The Hunger Games, Exit Through the Gift Shop, and 500 Days of Summer in the following weeks. There will be lawn chairs for rent, or bring your own chairs and blankets! There will be food and a lounge serving beer and wine as well as a DJ spinning tunes before the show. Music starts at 6:00 PM and the movie starts at 7:30 PM. Head to the website and RSVP on their Facebook page. LA’s most popular theme parks are having their Halloween events right now through October 31st! Halloween Horror Nights at Universal Studios features a half dozen new mazes for you to venture through. Just a few of the themes this year are the hit TV show The Walking Dead, Silent Hill, and The Texas Chainsaw Massacre. In addition to the mazes, nowhere in the park is safe as monsters will be roaming the entire grounds! Be sure to check the website for special deal nights. Knotts Berry Farm is having their 40th edition of this yearly tradition! 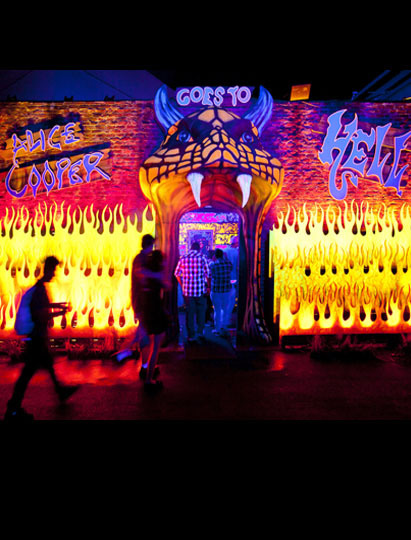 The event features over a dozen mazes like Evil Dead and a 3D maze. There will be plenty of rides open and shows to check out as well. 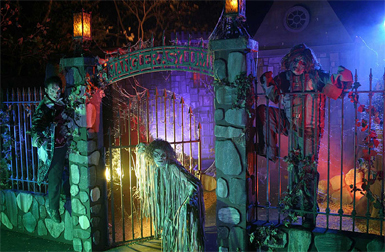 And of course, the park will be filled with monsters and ghouls to scare you when you least expect it, so watch out! They also have a reservation-only interactive maze called Trapped for an additional fee of $60 for a group of 6, so bring along your bravest friends and check it out! Head to the website for tickets. Come out and celebrate L.A.’s local beer culture at one of the many events being held at establishments all across the Southland. L.A.’s 4th Annual Beer Week will end with a special festival being held at the Historic Union Station in Downtown Los Angeles on September 30th. Beer Week takes place on September 20th through the 30th, check their website for an event near you! The 7th annual Frogtown Artwalk, a celebration of creativity and talent flourishing in the industrial buildings and working class neighborhood along the LA River, is back this Saturday from 4-9pm. Over 30 artists of Los Angeles’s Elysian Valley, also known as Frogtown, will be gathering together to invite the public into their studios/lofts to showcase their works of art on the 22nd of September. This event has gained a lot of followers and has become a well known destination for thousands of LA art fans. Make sure to checkout their website the day of the artwalk to view and download a map that will show the locations of artists’ studios and PODs, food trucks, and toilets. On Coolidge, Check out their site for directions on how to get there. In case you missed out on any lobster festivals, the last one this summer is being held this weekend at the Seaside Lagoon, just north of the Redondo Beach Pier. We heard this lobster fest is the one you want to attend so if you’re looking for something relaxing to do be sure to head down to the Redondo Beach Surf and Turf Lobster Festival. Along with the feasts, attendees can enjoy different bands and plenty of entertainment throughout the day. Save money on admission and meals by purchasing tickets online! Head to the website to check out the different menu options, prices, and their schedule of entertainment. If you love anime, gaming, horror, Sci-Fi and Comic books this is an event you won’t want to miss! Los Angeles’ largest pop-culture convention, owned by comic legend Stan Lee and Horror icon, Elvira, Mistress of the Dark and a few other crazy and creative people is back this weekend on September 15 – 16 at the LA Convention Center. With many exhibits to check out, new games to play, celebrity panels and a zombie apocalypse obstacle course this event will be an epic experience for all! One of their main attractions is the Comikaze Zombie Apocalypse which is a 75,000-sqft survival course infested with zombies! You will be chased and terrorized through a large snaking obstacle course – Only 4,000 people will survive! Will you be among the living? Crawl, climb, and slide your way to safety from some of the most ferocious zombies that want your brains! This performance/event is not recommended for children under 12. Be sure to visit their website for more information and to purchase tickets to this awesome event! New Belgium Brewing, makers of Fat Tire Amber Ale, will be hosting what can best be described as a cycling circus on Saturday, September 15th at LA Historic State Park. 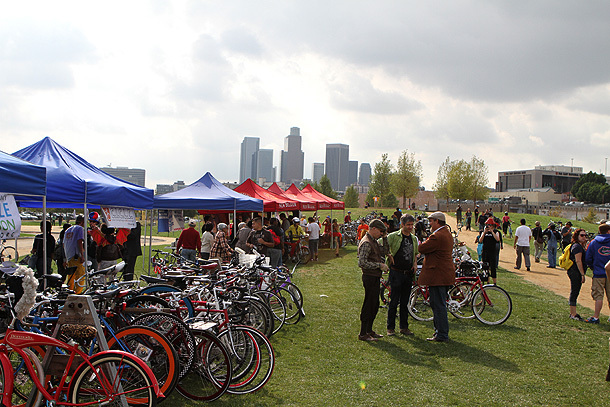 The event is a celebration of the bicycling culture and raises money for local non-profits, C.I.C.L.E., Bicycle Kitchen, and the LA County Bicycle Coalition. There will be a costume bicycle parade, live entertainment, unusual bike contests, and plenty of New Belgium beer and food! Grab a costume, a group of friends, and join the hundreds of cyclists in the parade which winds through downtown before heading back to the park for the festivities. Admission is FREE and it is for a great cause, so head downtown this Saturday! 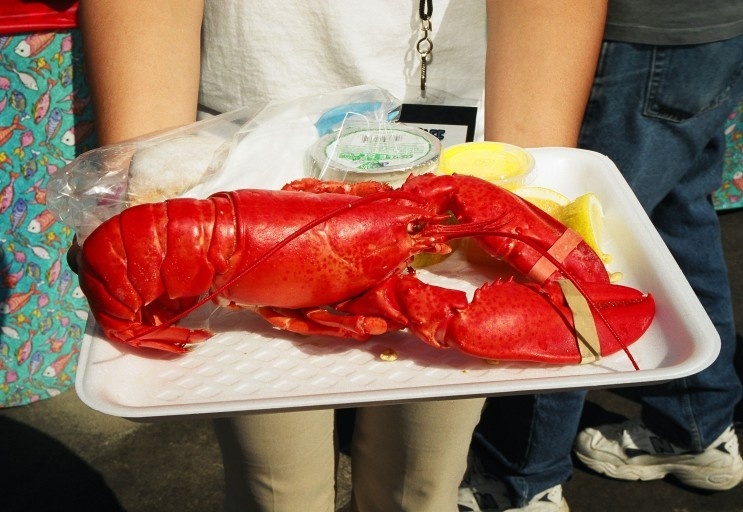 The 2nd of 3 lobster festivals this month is taking place at the Port of Los Angeles in San Pedro this weekend! The event features live music and performances, pirates, and plenty of food all weekend long! Admission is $10 at the door and lobster meals with 1.25 lb steamed lobster, cole slaw, potatoes, sweet bread, lemon, and butter sauce are only $19.